In Part One of this article series, I introduced a dream I’ve had for eleven years: meeting my ultimate personal development mentor, Bob Proctor. In May 2013, I enrolled into a training program to become a certified facilitator of Bob Proctor & Sandra Gallagher’s Thinking Into Results coaching program. Only a couple of weeks after my enrolment, an invitation was sent out to all facilitators for an advanced training workshop that was to take place in Scottsdale, Arizona in June 2013. My jaw dropped when I read that Bob was going to be personally leading the workshop! Although I thought I was too new to attend any advanced training sessions, there was no way I was missing my chance to meet Bob Proctor! I registered for the trip and booked my flights and accommodation. 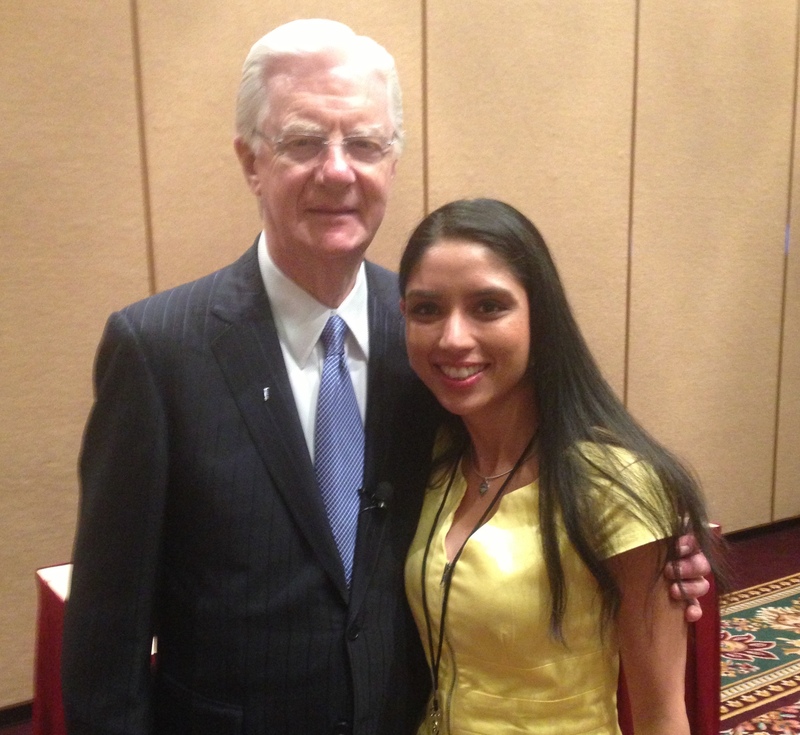 I was weeks away from meeting the legendary Bob Proctor! In June 2013, I arrived in sunny Arizona and I was highly amused by the enormity of the cactus plants all along the suburban streets – it was like something out of an old country western movie! I was buzzing with excitement when I arrived at the training session. I was one of 28 attendees from all around the world and we were all there to become empowering coaches, just like Bob. The moment finally arrived when Bob Proctor entered the conference room and we all greeted him with a standing ovation! My dream had finally come true – I was standing metres away from the person who had helped me discover inner peace. An intimate, live teaching session with Bob was everything I had imagined and much, much more. Bob radiates positive energy, confidence and peace and he’s an incredibly captivating speaker. I had several opportunities to speak with Bob and of course I had my picture taken with him (which is now my screen saver on my iPhone). That experience holds a special place in my heart and I will never forget it. 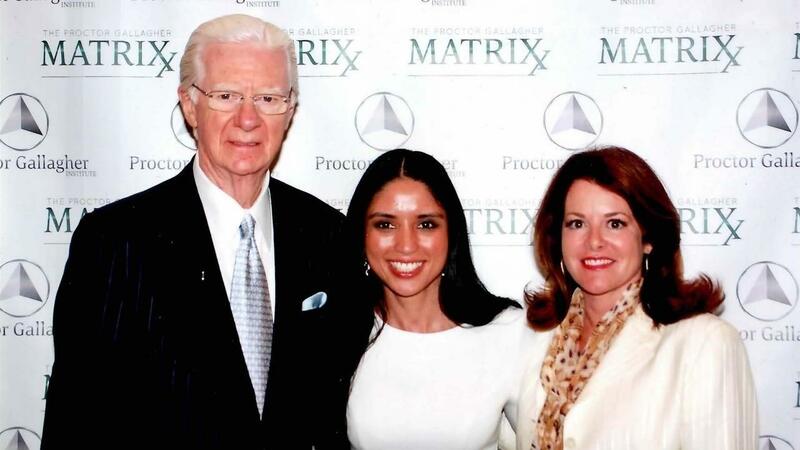 Never in my wildest dreams could I have imaged that I would spend time with Bob Proctor again in 2013! During a Skype chat with Bob’s head coach, he asked me if I would want to attend Bob’s flagship event, The Bob Proctor Matrixx, in October 2013. I knew right away that I absolutely had to go so I booked my spot and arranged my flight to Toronto, Canada which is where Bob lives. As we received materials in preparation for the Matrixx, I was delighted to discover that the final day of the event included a visit to Bob’s home! I was most looking forward to being in Bob’s study room and being surrounded by all the books that have inspired him throughout the years. Another dream came true on Friday, 25 October 2013, when I walked through Bob’s front door. I arrived early with a small group and we went straight to Bob’s study where we were greeted by Bob and his wife, Linda. Bob and Linda’s home was filled with warmth, happiness and love and I felt so welcome there. It was amazing to see Bob’s original recordings of ‘The Strangest Secret’ by Earl Nightingale and his many, many photographs with world leaders and celebrities. The coolest part of the day was sitting at Bob’s desk and feeling completely at home! The Matrixx was a life-changing experience. Not only because I received the privilege of spending time with Bob Proctor again, but because of the friendships I’ve formed with amazing people from all around the globe. I left Canada with a slight hint of sadness however I continue to feel propelled by the excitement of delivering a message of positivity and peace to the world in my own style as one of Bob’s coaches. I received one final gem during my flight back home from Toronto. As I reflected on the amazing events that had taken place, I had one of those ‘ah ha’ moments! The penny dropped about exactly how The Secret shifted my energy a few years ago. It occurred to me that it was the first time in my life that true learning took place for me on the subject of personal growth. You see, Bob talks a lot about the importance of repetition. He says to study the same material over and over again. It sounds completely illogical because its not what we were taught at school; however I just realised that all those years go as I listened to the secret over and over again in my car, I went beyond intellectual learning and I experienced learning and transformation on a emotional level. The message of peace and hope in The Secret became part of who I am and as a result, my personal energetic vibration lifted permanently. It’s this energy and inner peace that I now bring to my students through the programs I offer at Personal Empowerment Academy. Please comment below and let me know if you've ever met any of your idols?